What FMCG Leaders say, what they do, how they do it, and how they live it, drives company culture. In other words, it drives what we do and how we do it around here. If we want to deliver real change and improvement in Route to Market (RtM) excellence, the senior management team, from the CEO down, must fully buy into and demonstrate that change. 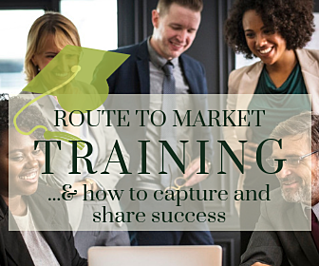 Welcome to my blog series on the 20 Steps to Route to Market Excellence model. The 20 Steps are split into 4 phases, Assessment, Strategy, Design and Implementation. My goal in creating the 20 Steps, and in writing these supporting blogs, is to provide FMCG leaders with a methodology or framework that will allow them to review, transform or build their RtM capability is a structured manner, covering all elements of the RtM strategy. Over the past number of months, we have gone through the first 19 steps of my model. The focus of this post is the final Step 20 – ‘Culture & Leadership’. When we review, transform or build RtM capability, the journey will not be linear. I say this because Step 20 will not be the last thing you do, but it will drive the entire process. For example, Step 1 Review RtM Performance, involves looking at all the current elements across your RtM, you might say it involves reviewing your existing 20 Steps, including Culture & Leadership. Before you start your RtM journey, what is the leadership platform that will drive success? Do we have the active support of the CEO, for example? To what extent are senior management at regional or global level supportive? Who will sponsor the changes that will be required? If we do not have senior management’s active support, to what extent will we be able to drive meaningful change? 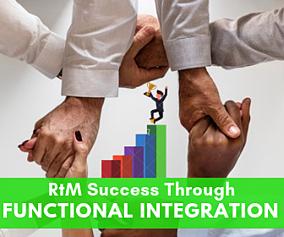 Based on the results of Step 19 Functional Integration, what are the functions and departments within the organisation that have been identified and mapped out as key elements of the RtM Strategy? Have these functions and departments been involved in the RtM strategy process thus far? For example, could we rank the department involvement from a level 10 (heavily involved) down to level zero (not yet engaged with)? Who are the key individual influencers within the organisation whose opinion carries weight across key departments or functions? Have these individuals been involved in the RtM process thus far? To what level has their involvement been? Who are the key external stakeholders, whether affected by the change or not, that need to be involved? Is there specific buy in or agreement that we need to get, in order to make and facilitate these changes? Will any of the changes have any political, legal or governmental consequences? What does our overall stakeholder map look like? Do we feel there are any gaps? What are the key messages that we need to deliver to the organisation? For example, why did we start this process? What was the need that drove the change? What changes have we made? Why did we make them? How will this new approach impact our employees, on their departments and on the company? How will this improve our current position? How will these improvements better equip us for the future? How will these changes help us to beat the competition? How will these changes better equip us to service our customers? How will these changes be seen by our other external stakeholders? How will these changes effect company departments traditionally not seen as sales or RtM focused? How do we engage and bring them along on our journey? How would we describe the current company culture? How do we do things around here? How big a cultural shift are we trying to make? Are we moving from an autocratic style of management where the “boss” tells people what to do, over to an empowerment centric culture where we want to see the RtM front line staff create and build new ideas? What does the size and nature of this shift mean? In what timescale are we looking to make these changes? Is this realistic? What are the essential behaviours we want to see in the organisation to make the new RtM approach successful? How do we ensure that we are getting the essential behaviours across the organisation to deliver on our RtM strategy? Does all of the company executive committee, management board, top team, management team, etc., understand the new RtM approach and the rational for change? In other words, has the Senior Management (CEO/Managing Director, and all direct reports) been brought through the entire process to ensure active advocacy? How will the Senior Management group show their support for the new RtM approach? Will there be a specific launch of the new approach? How will they be involved? What are follow up phases to this launch? How does the entire organisation see this advocacy and Leadership come to life? What is the overall change management plan to win the necessary stakeholder buy in to deliver RtM Excellence? I would like to thank you very much for reading any or all of my blog series on the 20 Steps to Route to Market Excellence. I hope you find this useful, and any views and comments are most welcome. Although this is the final step in the framework, we will continue to discuss key RtM issues over the coming weeks and months. Please subscribe to the blog on this page, to ensure you don’t miss the latest updates on RtM excellence in execution and the 20 Steps model. If you would like to know more about the 20 Steps click here. Welcome to my blog series on the 20 Steps to Route to Market Excellence model. Over the past number of months, we have gone through the detail of the first 15 steps of my model. The focus of this post is Step 16 ‘Third Degree Partnerships (3DPs)’. Step 16 represents a different concept and approach to motivating your customers to want to deliver on your targets. I hope it is helpful, and I welcome any feedback. So, what are Third Degree Partnerships (3DPs)? 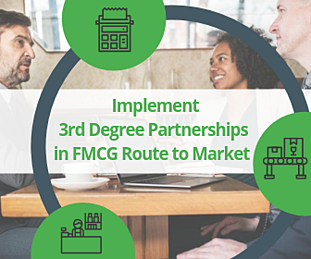 Third Degree Partnerships (3DPs) are where a Fast-Moving Consumer Goods (FMCG) company identifies its customers key issues, costs or constraints, and then forms a partnership with a service provider who can solve them for the customer, at a significantly reduced cost. The benefit for the customer is access to cheaper services. The benefit for the service provider is access to more customers. The benefit for the FMCG company is the ability to use the provision of a 3DP service as if it was a trading term or key account payment to the customer, with almost zero cost. In short, we identify our customers key issues, we then identify a service provider who can solve them, and we use our size and clout (maybe even our global reach?) to negotiate a much-improved price or access to the service for our customers. We then decide what we want in return for providing our customers with access to this 3DP club. What would we want in return? Examples include, product listings, exclusivity of some form, increased product range, pricing or other promotions, improved display, minimum volume targets, brand dialogue, use of a new distributor, access to a territory, etc. Why would you use 3DPs instead of a cash payment or discount? Several potential reasons. For example, maybe you have significant pressure on Route to Market (RtM) budgets and need to spend less in the key account or customer payments area. Maybe you need access to a new strategic channel and the costs of entry would eliminate profitability. Maybe you are facing pressure and need to boost sales but have no budget for promotions. Maybe you are facing significant competition and need a fresh approach to work with certain customers. Think of 3DPs as a type of rewards club for our customers. They may require time to set up but have little associated cost for us as FMCG leaders, provided we do the ground work. Based on the Channel Classification in Step 7, what are the different segments of customers in our market? Looking at each customer segment, which are the most appropriate or suitable for 3DPs? Where will 3DPs have the most potential value or be the most valued? Would there be a greater applicability in the less organised General Trade versus the more organised Modern Trade, for example? Do we feel providing our Horeca owners with access to reduced cost services will be as beneficial as providing reduced cost services to international retailers? Could the customers in question get access to these reduced cost services themselves? If so, why have they not done so? Is there still a value in these services? Is there any specific channel in which we are under-performing? What are the reasons for this? What are the defining characteristics of the channel? Could a 3DP help us here? Have we included and looked at the specific geographic issues, challenges and nuances within our specific market, to map out our local customers’ challenges? For example, the islands of Indonesia, the congestion in Bangkok, the vast geography of African countries, the severe temperatures in Russia, to name a few? Considering each customer segment, what are the customers’ key issues, costs or constraints? In other words, what are the problems our customers are facing for which we could provide solutions? Looking at each of these key issues, costs or constraints, can we identify service providers who can solve these? Are these potential service providers local to the market? Is there a potential for us to bring in external suppliers to the market? Would we want to do that? Does that create more issues for us in setting up the 3DP or does it make the 3DP more powerful? Can bringing in external service providers as part of a 3DP create barriers to entry for our competition and barriers to exit from the 3DP for our customers? Are there particular services that we, as an FMCG company, benefit from, that we can in turn provide to our customers through 3DPs? Can we use our size and scale to negotiate a package or price and offer access to our customers in return for something? What services might we offer as a 3DP? 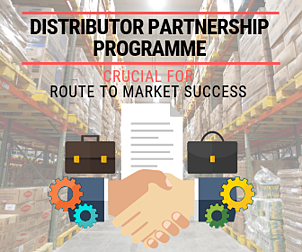 For more inspiration, download our Implementing Third Degree Partnerships (3DPs) in Route to Market Guide here. Have we prioritised the potential services that we may offer as part of our 3DPs? Have we ensured that the 3DP programme will not reduce focus from achieving our RtM targets but instead assist with them? Have we looked at why we would use a 3DP instead of another incentive? Have we detailed what we would ask for in return for access to a 3DP? How will the 3DP programme be managed? Will key accounts manage the programme? Will we require additional resources in the RtM function to do this? Must this be done on a national level or will we allow regional implementation? Have we involved our legal colleagues in the contracting process to make sure there is no exposure for us from the services provided by the service provider(s)? Have we conducted a risk assessment to look at any specific local or other issues that may affect the 3DP programme? Taking all the above into account, what would the overall 3DP programme look like? I hope you find this useful, and as I said, views and comments are most welcome. Next, I will cover Step 17 ‘Key Account Management (KAM)’. Please subscribe to the blog on this page, to ensure you don’t miss the latest updates on RtM excellence in execution and the 20 Steps model. If you would like to know more about the 20 Steps click here. What are Trade Incentive Programmes (TIPs)? TIPs are the mechanisms that you put in place to incentivise and encourage your trade partners (e.g. 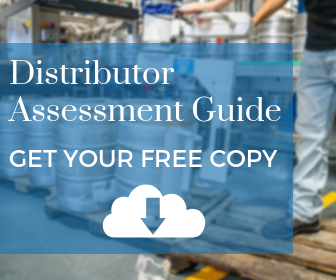 retail, distributor, cash & carry, wholesale, Horeca) to engage with and deliver on your Trade Marketing & Distribution (TM&D) and/or Route to Market (RtM) objectives. TIPs can include what may traditionally be associated with key account agreements, like sales volume discounts, or sales volume rebates. But they should also encompass so much more. Whilst sales volume may be one of the most important KPIs, incentivising on it alone, or being too reliant upon it, may be counterproductive in the long term. For example, we may encourage certain customers to forward buy, thus bringing sales from next month or next period into this one, and therefore costing us more now, in terms of higher incentives, poor productivity and increased overall supply chain costs. But focusing our TIPs on the individual trade marketing objectives (the building blocks of sales volume), can really help us to engage with and become partners of the FMCG trade, both with the owners, and in many cases more importantly, their staff. A well thought out TIP can start to create real trade partnership with our company, encouraging and motivating those who want to work with us for mutual success, rather than customers who simply expect a discount. 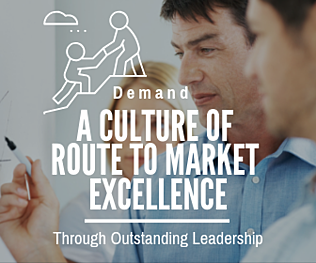 Welcome to my blog series on the 20 Steps to Route to Market Excellence model. Over the past number of months, we have gone through the first 12 steps of my model. The focus of this post is Step 13 ‘Trade Incentive Programme (TIPs)’. Based on the RtM Review in Step 1, what are the current TIPs we have in place? What have their results been? To what extent does our TIP accurately reflect and support our channel strategy? Who are the current TIPs focused on? Who within the trade are they incentivising? Are the current TIPs focused on, for example, the owners of a retail chain, on the managers or operators of the retail stores or do they focus on the staff? Do we operate different TIPs based on whether the outlet is owner operated or managed by the owner’s staff? Do we have a different TIP approach based on channel? If so, what is that approach and how do they differ? What are the current TIPs trying to deliver? Are they based on volume, on achieving a target, on running promotions, on brand knowledge, on brand range, on product presentation, on pricing, on display, on exclusivity, on anything else? What incentives do we offer in these TIPs? Have we had the same incentives in place for a long time? Have we asked the target audience if they have any views on our incentives? What TIPs do our competition use? To what extent have they achieved success with them? Is there anything we can learn from their TIPs? How are our TIPs measured? What does success look like? How do we measure their usage by the TM&D team, their implementation, their success? Do we use mystery shopper programmes? Do we receive data from our trade partners on the implementation and results of TIPs? Is the receiving of data a condition of the current TIP? Who coordinates TIPs? Is there a centralised approach? Do we have a policy and an agreed process for TIPs? Do we have a key accounts department? Do they have control or oversite of TIPs or do they keep focus to key account agreements and trading terms? Where do these cross over and how is this managed? Who implements TIPs? Is it done centrally at HQ, is it done by channel, by key account, by region? Can a trade marketing representative or territory manager implement and run TIPs in their own patch? If so, who coordinates that approach? 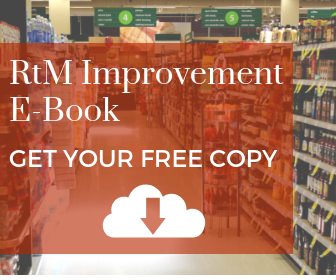 Are TIPs used to create and foster a culture of empowerment across our TM&D/RtM teams? Are we capturing the learning from TIP successes in one geography to allow us to roll this out to others? Do we have the ability to test market our TIPs in specific geographies? Who holds the budget for TIPs? How is it controlled and managed? Is it one central budget or, for example, split up by geography or by channel? Can a TIP be run at a local level in a modern trade outlet where there is a central key account approach? If not, then why not? If yes, then how is this managed? What is the link to key accounts? Is there an agreed process and communication set up? How does the above inform our approach to future TIPs? What is our overall approach to TIPs and their management? What will our TIP training needs be and how will this be translated into our training programme? I hope you find this useful, as always views and comments are welcome. Next, I will cover Step 14 ‘Technology’. Please subscribe to the blog on this page, to ensure you don’t miss the latest updates on RtM excellence in execution and the 20 Steps model. If you would like to know more about the 20 Steps click here. Firstly, what are Trade Tool Kits? They are the specific commercial tools and materials that we provide to our Trade Marketing & Distribution/Route to Market (RtM) teams to help get their jobs done and to deliver on their targets. They are the trade incentive schemes, CRM systems, planograms, promotions, budgets, pricing initiatives, trade samples, etc. that they will implement, create, manage and report on. They are shared across the Trade Marketing & Distribution Team (TM&D Team). 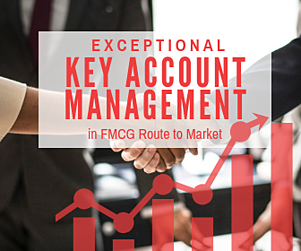 The TM&D Team in this case can include the Trade Marketing, Distribution, Sales, Merchandising, Promotions, Horeca, Events, Key Account, Customer Service and Telemarketing Representatives. Much of the focus of Trade Tool Kits will be around providing “stuff” that the TM&D Team can “put” in the field to increase sales. But Trade Tool Kits can be so much more. They can effectively harness the creative power of every member of the TM&D Team by empowering them to look at, and examine, what they believe might work for their customers in their geography. Trade Tool Kits can be used to foster a culture where we believe in our TM&D Team and want them to contribute. I have seen this first hand and it can be amazing. This does not take away from the ABCs of what a Sales Rep should and must do, but maybe they can do more? 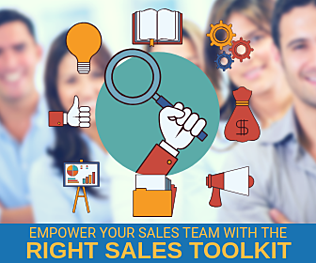 In summary, Trade Tool Kits can be the difference between an average TM&D Team and a Great one. Welcome to my blog series on the 20 Steps to Route to Market Excellence model. Over the past number of months, we have gone through the first 11 steps of my model. The focus of this post is Step 12, ‘Trade Tool Kit’. 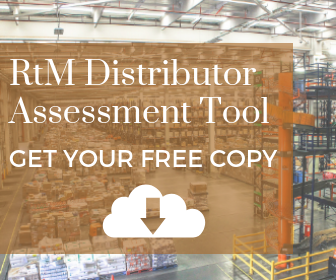 Based on the RtM Review in Step 1, what are the current Trade Tool Kits we have in place? 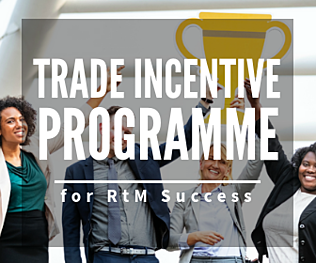 Are the TM&D team empowered to conduct their own promotions & trade incentive programmes? Does the TM&D team have a specific budget for in field promotions or events? How is the monitored and measured? Has training been given? How is success captured and replicated? Can the TM&D team run local territory incentives with selected customers? Do they have guidelines or training for this? Does the TM&D team launch, manage and/or implement pricing initiatives? If so, what controls are in place for this? Can they be done on a territory/area or regional basis or is this a national implementation? What materials are provided to the TM&D team for this and how are they managed and tracked? Do we differentiate trade engagement with owners from trade engagement with staff or operators? Do we see any difference? Have we trained our TM&D team on trade engagement? What Point of Sale (POS) material does the TM&D team have to place? Do they have guidelines on placement, duration, how to record placement, how to record effectiveness? Are we in regular contact with colleagues in Marketing to refresh and provide feedback on POS material? Does the TM&D team have or use planograms? Have they been trained on these? How to they monitor or record instore display? How often are they updated? What is the order capture method? Do they use an electronic method? What tools have the TM&D team been given to monitor their accounts? Are these tools well understood? Does the TM&D team have a CRM solution? Is this common across all roles? Does management have real time access to the CRM tool, its data, and its ability to set and monitor tasks? Does the TM&D team have laptops or tablets for use in the field? Does the TM&D team have access to customer data with the ability to conduct business and performance reviews? Have they been trained to do this? Is this a role requirement, is it encouraged, or does it fall out of scope? Does more than one member of the TM&D team share responsibility for a customer or group of customers? If so, what are the rules or guidelines in place for this? How does this effect the use of trade tool kits? Who in the TM&D team deals with customer complaints? How do we capture and monitor complaints? Can we report on resolution? Who in the TM&D team opens new accounts? Is there a clear process and system for this? How do credit limits get set for each customer? What tools are in place to monitor and inform the TM&D team? Does the TM&D team get involved in invoicing or payment collection? Do we accept cash? If so, what is our process for this and how effective are controls? Do we provide tools for this? Do we provide product samples to the TM&D team? Is this on a regular basis? How are they monitored or controlled? Are the TM&D team given additional samples at any time, e.g. around specific promotions or brand launches or events? If so, how are these monitored? Does the TM&D team accept, manage or control product returns? If so, what is the system in place and what are the tools for doing this? What is its effectiveness? Do the TM&D team place promotional assets and /or merchandising material in the field, e.g. display units, fridges, coolers, electronic displays, branded furniture or items, etc.? If so, how are they managed, tracked and recorded? What is your overall approach to trade tool kit management? I hope you find this useful, any views and comments are welcome. Next week I will cover Step 13 ‘Trade Incentive Programme (TIPs)’. Please subscribe to the blog on this page, to ensure you don’t miss the latest updates on RtM excellence in execution and the 20 Steps model. If you would like to know more about the 20 Steps click here. 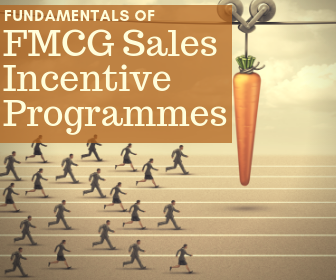 When I say Sales Incentive Program (SIP) in the Fast-Moving Consumer Goods (FMCG) sector, I am referring to the internal company incentive program that is used to motivate and influence the behaviour of sales people and teams to deliver company specific results. This is not to be confused with a Trade Incentive Program, designed to motivate Retailers or Distributors or other Trade Partners. 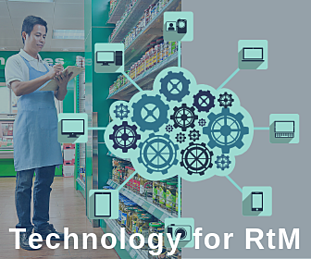 SIPs in the FMCG sector are crucial in the delivery of Route to Market (RtM) goals. The old adage is true, what gets rewarded gets done. But is it that simple? Well, no. Putting a SIP together can be a minefield unless all the bases are covered. Let’s dig a little deeper. Welcome to my blog series on the 20 Steps to Route to Market Excellence model. I am writing this blog to offer guidance on the things that should be considered when putting a RtM strategy together. Over the past number of weeks, we have gone through the first 10 steps of my model. The focus of this post is Step 11, ‘Sales Incentive Programme’. Based on the RtM Review in Step 1, is there a SIP in place? If yes, what is the current SIP? How is it performing? What were the key factors that led to any past successes? What does the current SIP measure? How is the performance of the sales people measured and what are their targets? To what extent are we targeting volume, revenue, profit, share, brand distribution, display, range, TM&D activities, point of sale material, promotions, new accounts, new brand introductions, out of stocks, cash in, etc.? What are the top 3 or 4 metrics that we currently measure? How would this be used in developing any new SIP? How do we currently assign targets between the different Regions, Areas, Channels, Territories, Key Accounts, etc.? How will this be done in the future? Is the current program complex and difficult to understand or administer? Or is it simple, easy to follow and understood by all? How attainable are the rewards in the current SIP and how will this inform any new programme? Is the current programme based on short terms incentives, e.g. monthly or quarterly, or is it based on longer term, annually or 3 yearly? How will this influence any revised programme? How achievable is the current SIP? To what extent are targets achievable? Does it favour a small group within the sale force? How will this knowledge be used to develop any new programme? Based on the new, revised or reviewed RtM approach, what measures will we use in future for our sales/RtM department? How will we report the new SIP? What method of reporting will we use and what will the frequency be? Will we operate a leader board system where every sales person knows where they rank? Will sales people have real time visibility of their and others performance? What are the primary motivating factors within our organisation, country, culture, etc? Are they financial, recognition, skill acquisition, team based, career progression, etc.? Are they a mix of them all? If we choose a financial route, will it be a percentage of the sale, their salary, the monthly revenue, a fixed amount? Have we considered using a physical item equal to the value of the financial reward as the incentive? Would a personal item that the sales person keeps in their home be more rewarding than cash? Will any targets and rewards be individual, or team based and how does this reflect how the sales people actually work in the real world? What will be the elapsed time between achievement of an incentive and the attainment of the reward? Could we lose motivated sales people through extended time lapses? Have we ever asked our sales people for feedback on the current SIP? Have they ever been asked how they would change or structure a programme? Do we know what motivates them? Have we directly asked them what they want as an incentive? Will managers have the ability to adjust sales targets or quotas based on specific factors? Will there be a need for a process for this? If so, what will the process look like? How will any new or revised programme be ‘sold’ into the organisation? How will we achieve, and measure buy-in? Has any new SIP been tested and modelled before rolling out? Based on the above, what will the new SIP look like? I hope you find this useful, any views and comments are welcome. Next week I will cover Step 12 ‘Trade Tool Kit’. Please subscribe to the blog on this page, to ensure you don’t miss the latest updates on RtM excellence in execution and the 20 Steps model. If you would like to know more about the 20 Steps click here.